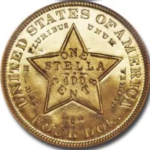 Beginning in 1834, the Mint began a search for a suitable design that could serve as an enduring symbol on American gold coins. In that year Engraver William Kneass executed a head of Liberty for quarter eagles and half eagles that became known as the Classic design. But this design, although modified several times, was not to last, as it was adapted from John Reich’s old Classic Head motif first used on large cents in 1808 and officials continued to press for a symbol of Liberty more befitting the growing Republic. By 1838, Christian Gobrecht’s Coronet design for the eagle took center stage, and a version of this in keeping with the Mint’s penchant for uniformity was used on the quarter eagle starting in 1840. The design as finally adopted featured a large head of Liberty facing left, wearing a wide coronet inscribed with the word LIBERTY. Her hair is pulled back in a bun and held in place by a string of pearls. Thirteen stars are placed around the periphery, representing theoriginal colonies, with the date below. 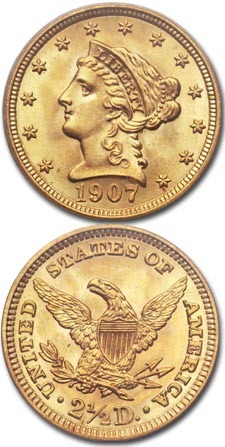 The eagle on the reverse was essentially the same one that had been onquarter eagles since 1808. Originally designed by John Reich, the 1840-1907 version was probably modified by Robert Ball Hughes. The heraldic eagle has its wings spread from rim to rim with the Union shield covering its breast. An olive branch representing the country’s peaceful intentions is in the eagle’s right claw, with three arrows emphasizing military preparedness in the left. The legend UNITED STATES OF AMERICA surrounds the eagle, with the denomination 2 1/2 D. beneath the bird. Between 1840 and 1907, a total of 11,921,171 Coronet quarter eagles were struck at five mints: Philadelphia (no mintmark), Charlotte (C), Dahlonega (D), New Orleans (O), and San Francisco (S). 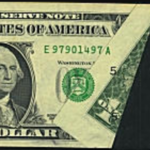 Mintmarks can be found on the lower reverse beneath the eagle. An estimated 4,232 proofs were also coined. The early (pre-1860) proofs are very rare, with only two or three pieces surviving from many years. Often, proofs have frosted white devices that contrast sharply against deeply mirrored fields. These “cameo” proofs are very popular as type pieces. Most of the proofs struck after 1901 have an all-brilliant finish with no field to device contrast. This brilliant finish continued until the end of the series in 1907, when Bela Pratt’s sunken relief Indian Head design debuted, and the matte proofing process was adopted. The series is replete with important coins, but none more famous and historically significant than the 1848 CAL. quarter eagle. Made from some 230 ounces of native California ore shipped eastward in 1848, the resulting 1,389 quarter eagles are distinguished by the abbreviation CAL. stamped into the die above the eagle’s head, and all authentic specimens have a square period after CAL. 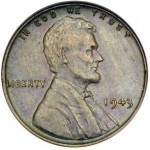 Many collectors consider these CAL. quarter eagles to be the first commemorative coins struck in the U.S., predating the Columbian half dollar by 44 years. Also struck in the Philadelphia Mint are two other dates that have achieved fabled status, the 1841 and 1875. The 1841 has affectionately been labeled “The Little Princess.” Approximately 15 examples are known and these extraordinarily rare coins have only been found in the finest and most comprehensive collections. The 1875 Philadelphia issue is another very rare date, with only 400 pieces struck and an estimated 23-25 examples surviving. Interestingly, one prominent gold collector in the Northeast has accumulated more than 15 specimens of this key issue. 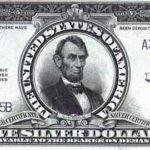 Another famous rarity is the first year of issue from the San Francisco Mint, the 1854-S one of the standout rarities in all of U.S. numismatics, with a scant 9-15 specimens believed to exist today in all grades. Only 246 quarter eagles were struck in that initial year, because the San Francisco Mint lacked parting acids (the same problem that plagued private minters at the time). When grading Liberty Head quarter eagles, friction begins to first show on the tip of the coronet and above the eye on the obverse, and on the wing tips and claws of the eagle on the reverse. Striking quality is usually quite good and should not present difficulties for most post-1878 issues, but earlier branch mint coins are especially prone to weakness on the hair curls around Liberty’s face and on the left leg of the eagle. 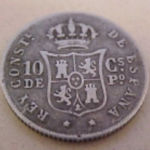 Counterfeits are sometimes encountered, but the most frequently seen dates for bogus pieces are the common dates between 1900 and 1907. Altered mintmarks exist on certain key dates such as 1841 and 1875, but the diagnostics for the dies used to strike genuine coins are widely known: authentication is highly recommended. The unchanging durability of the Liberty Head quarter eagle design is unrivalled in the history of U.S. coinage. This exceptionally long span of time still stands as the longest uninterrupted use of a coin design without a major design alteration. When the first coins were struck in 1840, much of the United States was still a rough and tumble frontier that valued hard cider and log cabins enough to elect as their leader the coarse old Indian fighter, William Henry Harrison. As the final Coronet quarter eagles were struck in 1907, America was in many ways a different country than it had been in 1840. It retained the rugged individualism that had characterized the national spirit throughout the 19th century, but it was a more mature America, heralded not only for its powerful economic and military presence throughout the world, but for its diplomatic achievements as well illustrated by Theodore Roosevelt’s winning of the 1906 Nobel Peace Prize for his role in negotiating an end to the Russo-Japanese War.